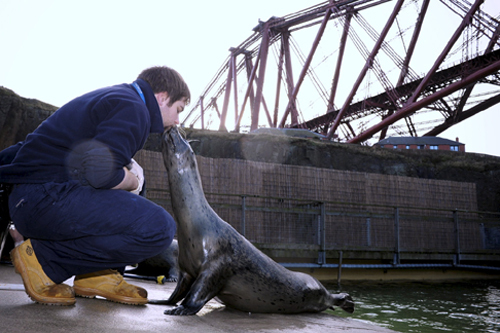 A SCOTS seal is set to become an unlikely Japanese TV star. A video of Heather, a 12-year-old harbour seal, is to be seen by more than five million people when it airs on one of the country’s most popular TV shows. 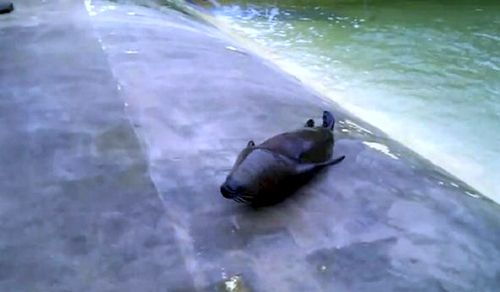 The YouTube video, which only lasts 11 seconds, shows the female seal barrel-rolling downhill into the water in her outdoor enclosure at Deep Sea World, North Queensferry. Since it was posted last year the video has been watched by more than 87,000 people – with many comments being posted from Japan. Deep Sea World aquarist Michael Morris said: “Heather’s amusing method of getting in to the water always makes visitors laugh but it’s actually a natural behaviour that seals use in the wild. 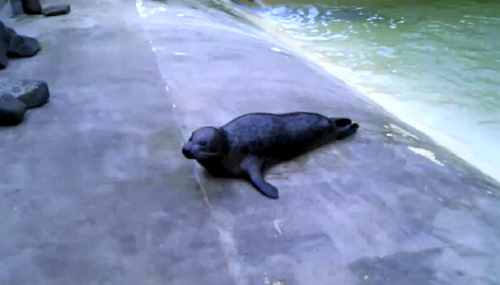 “Unlike sealions who have strong front flippers and can move relatively easily on land, seals like Heather are pretty ungainly and can only shuffle about when they are out of the water. “By tucking her fins in and rolling downhill she’s able to move much more quickly and with very little effort – and I also think that she enjoys the sensation. “It’s certainly not something we have taught her to do but it’s a behaviour that we’re happy to encourage as it makes examining her and giving her regular health checks much easier,” he added. The video is set to be shown on a programme called ‘Bucchigiri, which means ‘overwhelming’, on Japan’s TBS network. 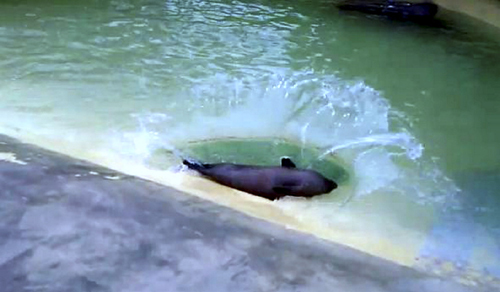 The show broadcasts interesting and entertaining videos of people, animals and events from around the world. 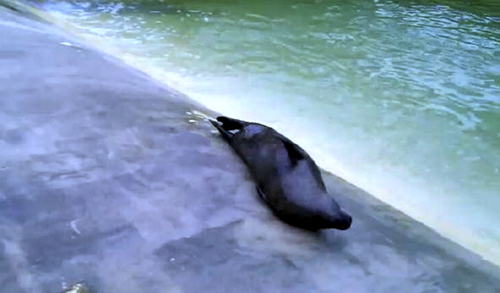 “People often video our seal talks and feeding demonstrations and, for some reason, this particular footage seems to have really struck a chord with people all over the world,” said Michael. “We were approached by a researcher on the show who wanted some more information on Heather and it looks like she’s now set to become something of a TV star over in Japan.” he added.